The 9-title Wonders of Physics and Chemistry series covers everything from the definition of an atom to the science of light. Students can start to develop basic understandings of the fundamentals of science, then work their way up to more complex subjects. Each program includes a subject specific teachers guide which includes subject matter revision and suggestions on how to present material, questions to ask students, and class projects to help illustrate the key concepts. Gravity may not be visible, but it is ever-present. It affects on Earth, including how much we weigh. Learn how animals, plants, and machines employ Archimedes’s and Bernoulli’s principals to prevail over the force of gravity. 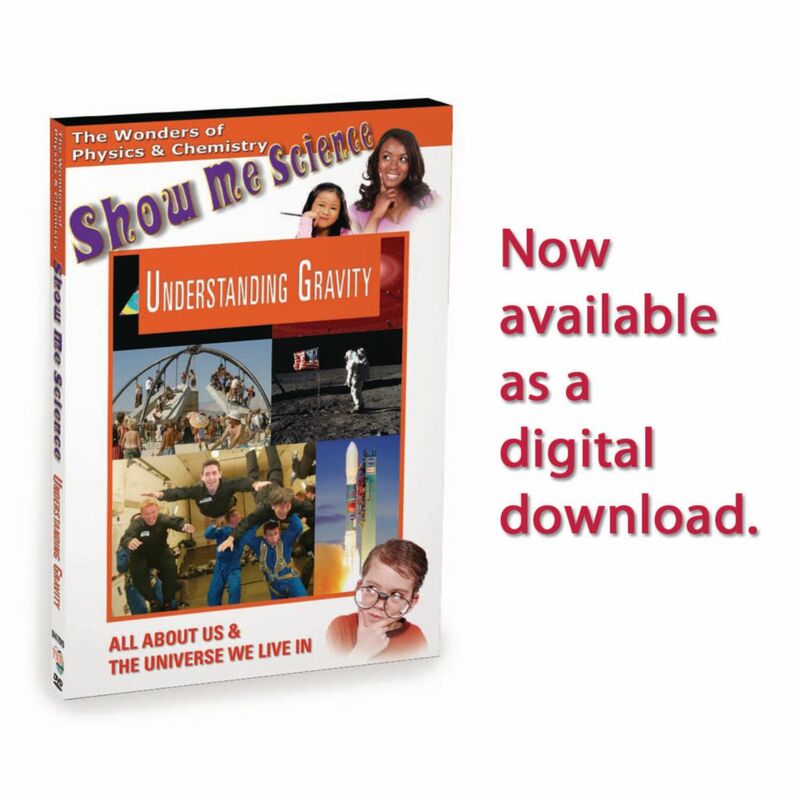 Show Me Science: Physics: Understanding Gravity makes learning about physics easier and more fun. This double episode program demonstrates Newton’s Three Laws of Motion and Gravity in an entertaining manner.